Enhance the darker spaces in your garden with the beautiful Primrose Mirror. Attach to the exterior of your home or add to a tired looking garden outbuilding. 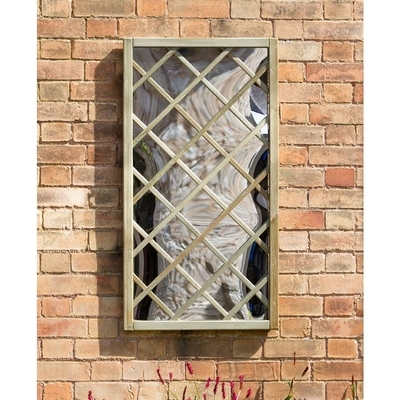 The acrylic mirror is decorated with pressure treated trellis in a simple and attractive design.